Hi, my name is Anya and I come from a beautiful, sunny place called Marbella, Spain. I am an internationally-renowned raw food chef and gourmet chocolatier. I have worked at retreats and events all over the globe, in places like New York and London, Nice and Monaco, Bali and India, and done trainings with some of the best experts in this field, such as Amy Levin and Rusell James. What sets me apart from other chefs is my artistic flair and a love for creating beautiful food that not only pleases the eye but that also satisfies the soul. With each new place I visit, I pick up new flavours and ideas that I then incorporate and experiment with in my dishes. 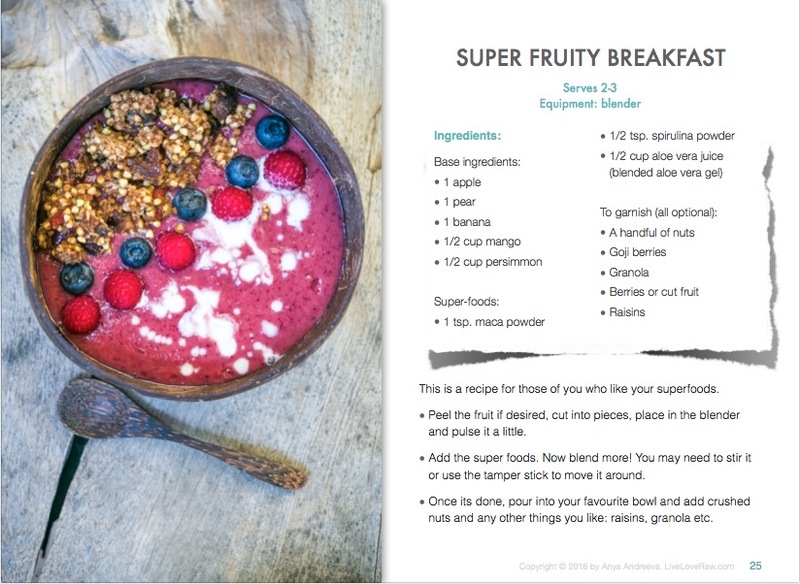 I wrote a book on raw vegan food and occasionally run workshops, but I no longer do catering full-time, so if you want to experience my dishes, you should try making them yourselves from my recipes! Short background: I became interested in health and nutrition when my grandfather was diagnosed with cancer in 2009 and since then have experimented and researched many different types of alternative healing methods, including Ayurveda, kinesiology and a variety of modern diets. Raw food was what stuck out for me as it is a means of preventing any illness from the inside, and not just curing it temporarily from the outside. I was raw vegan for 5 years but I go through different phases in my diet, so I never give myself a label, whether thats raw, vegan, vegetarian etc, I simply don’t believe in them as I think everything in life is temporary and I could not base my identity around what I eat. Honestly it makes me sad to see vegans judging former vegans for changing their lifestyle, for whatever reason, it’s a personal choice and shouldn’t be used to attack others. 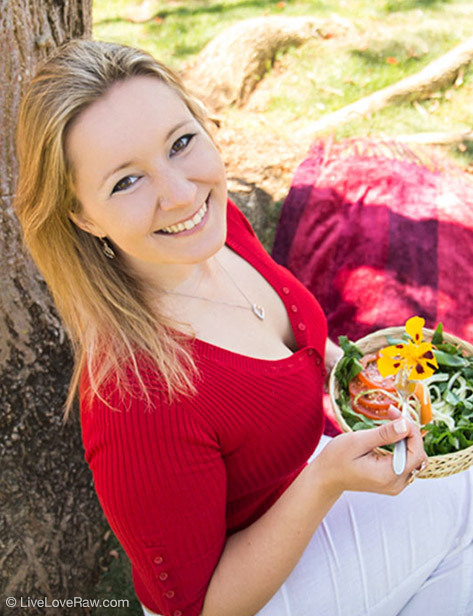 So yes, I wrote a book on raw food because I believe it has great benefits and if thats the stage you’re at then my book would be a great guide, but if one day you see me eating animal products then thats just my next phase and it doesn’t change how I feel about raw veganism, because for those 5 years it did WONDERS for me. My full time job is that of a Social Media & Content Manager. I am also a professional web designer, photographer, videographer and an event manager. I had my first official graphic designer job when I was just 16 years old. Later I began studying photography at University and before I became a “digital nomad” I worked for a global media company in central London. 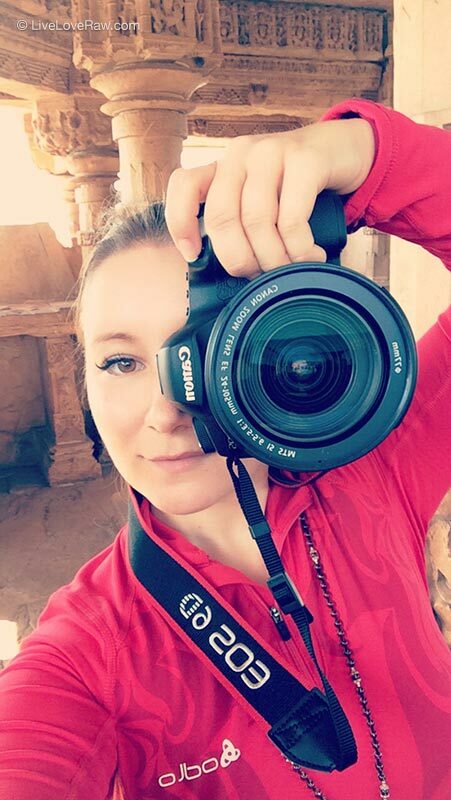 My Masters degree at UCL helped me develop an interest in web design and the last few years I’ve been doing more and more video work, having been invited to many festivals and retreats worldwide to shoot promotional videos and documentaries. For the last few years I’ve been settled back in London, working at a digital marketing agency. You could say I began my spiritual journey when I was 16, though I don’t believe there is really a beginning to the infinite beings that we are. I have explored many different paths, from tantra to pranic living, and have had guidance from some beautiful beings, but I don’t follow any one particular path but that of my inner guidance. Click here for my mindful articles or get in touch about my confidential consultations in person or over Skype. Get a free sample of my book simply by entering your email below! 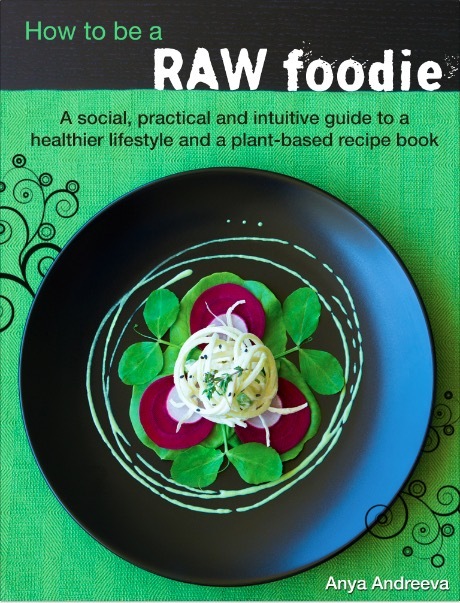 To purchase the full book, please see: How To Be A Raw Foodie - by Anya Andreeva. Just click the button below to begin the download.